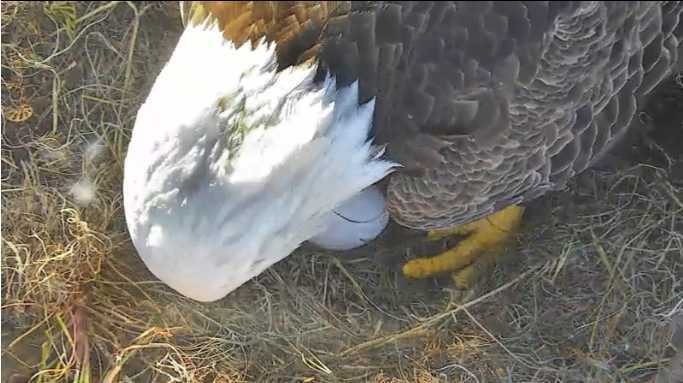 The first egg (on a nest with a cam) of the 2017-2018 nesting season was laid by Juliet at the American Eagle Foundation’s Northeast Florida eagle cam at 1:18 pm on November 2, 2017. I think this is Juliet checking on the egg (though it might be Romeo); the line that looks a bit like a crack is just a piece of nesting material. ©2017 American Eagle Foundation, EAGLES.ORG.